My grandchildren gave me these pieces of Kina to take home and enjoy. 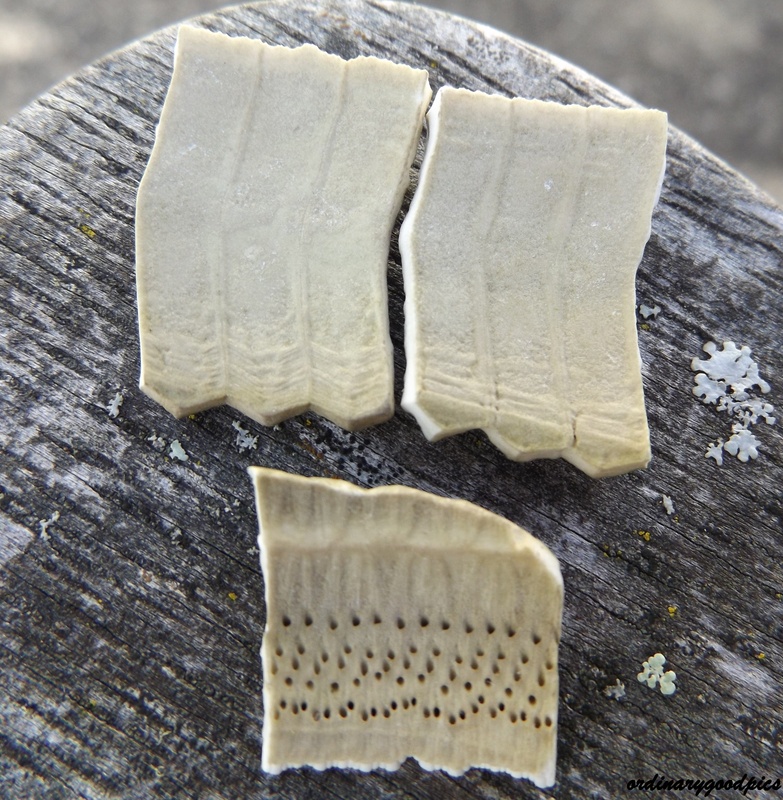 I was amazed at the intricate patterns and features, both on the exterior and the interior of what was once a spiny Kina or Sea Urchin. 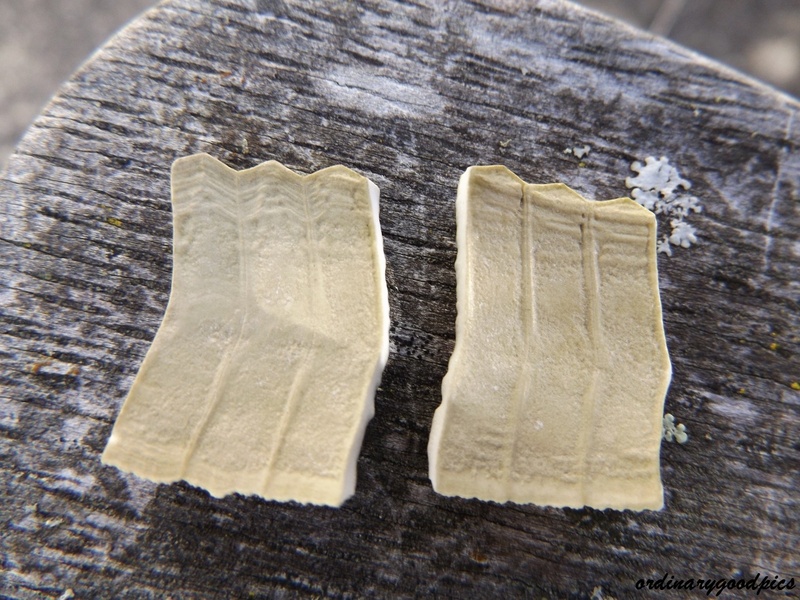 While I have seen many of these creatures on our local beaches I had never taken the time to learn more about them or to look at the beauty of their shells. 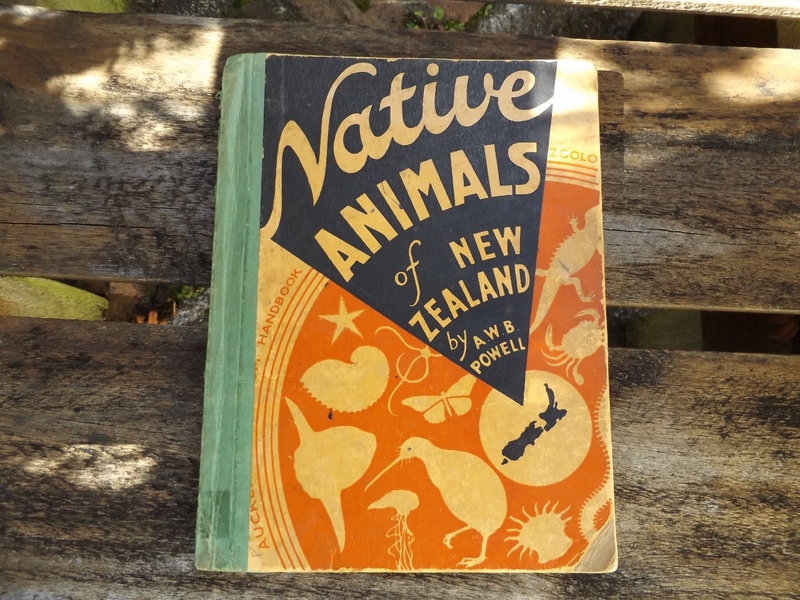 I turned to my trusty “Native Animals of New Zealand” by AWB Powell for his careful observations and information. He says “ The Common Sea Urchin or Sea Egg (Evechinus chloroticus) Found towards low tide in rock pools and crevices amongst seaweeds. It grows from 4 to 6 inches in diameter and in life is conspicuous with its dense covering of long dark greenish spines. 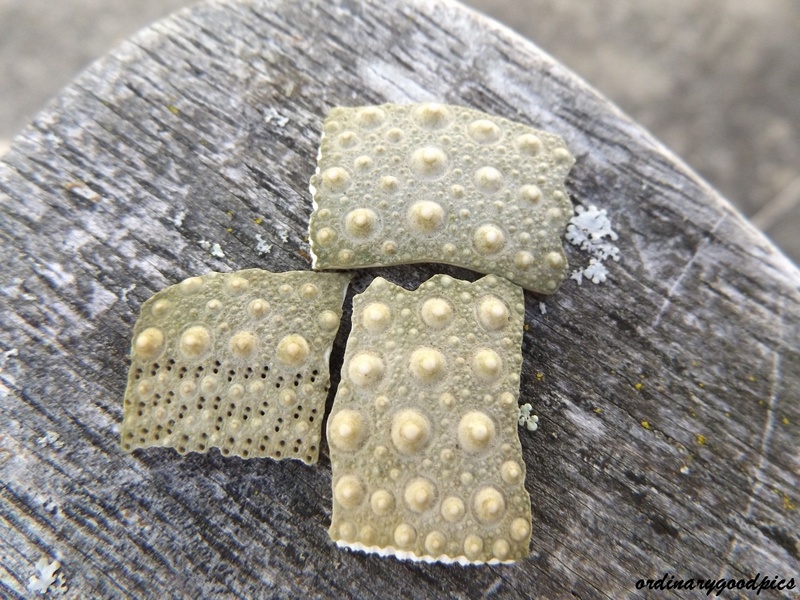 When the spines are removed there is a depressed circular limy “shell” of light greenish colour, composed of a mosaic of plates, many of which have small rounded knobs, arranged in regular series. These are the bosses upon which the movable spines are attached. 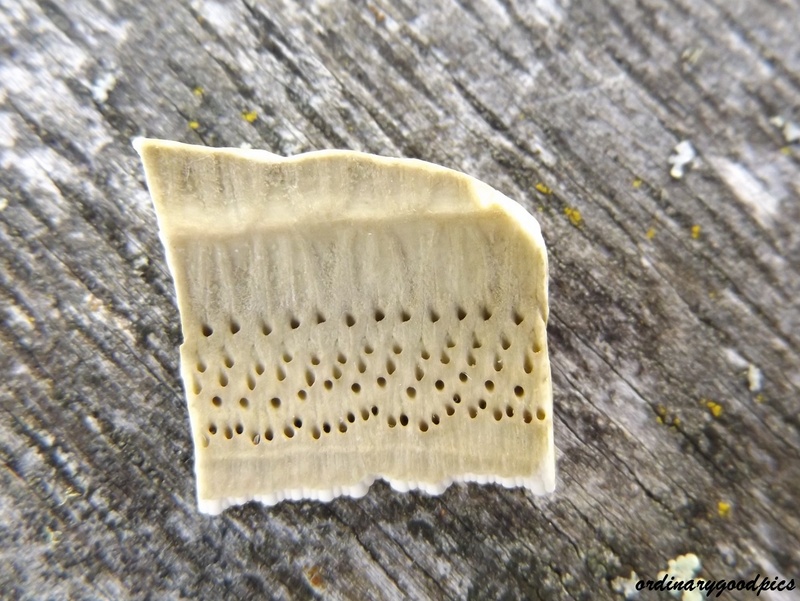 Between the rows of bosses there are perforated plates through which the soft tube feet operate and these are connected with an internal water pumping system characteristic of all urchins and starfishes. 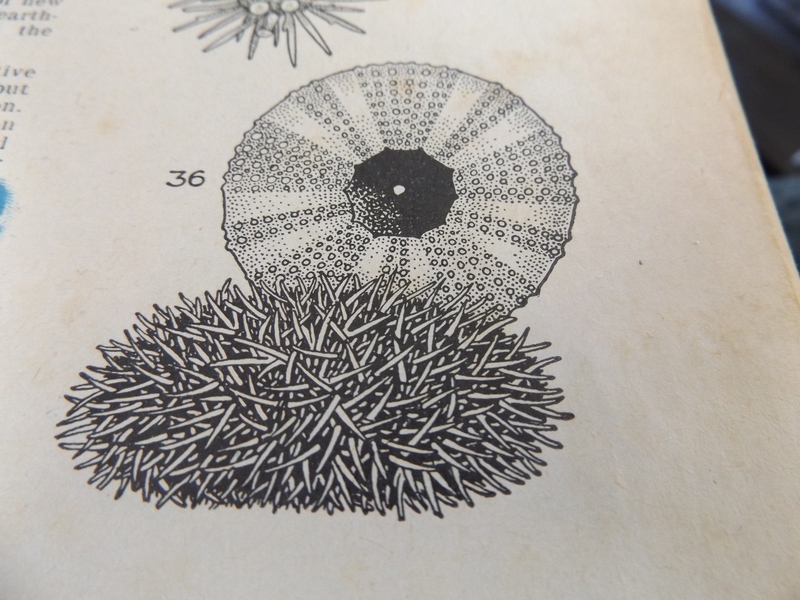 The sea urchin moves about by the concerted action of the long spines and the tube feet. The macro feature on the camera gives a very good replication of the specialised, intricate work of this piece of nature. 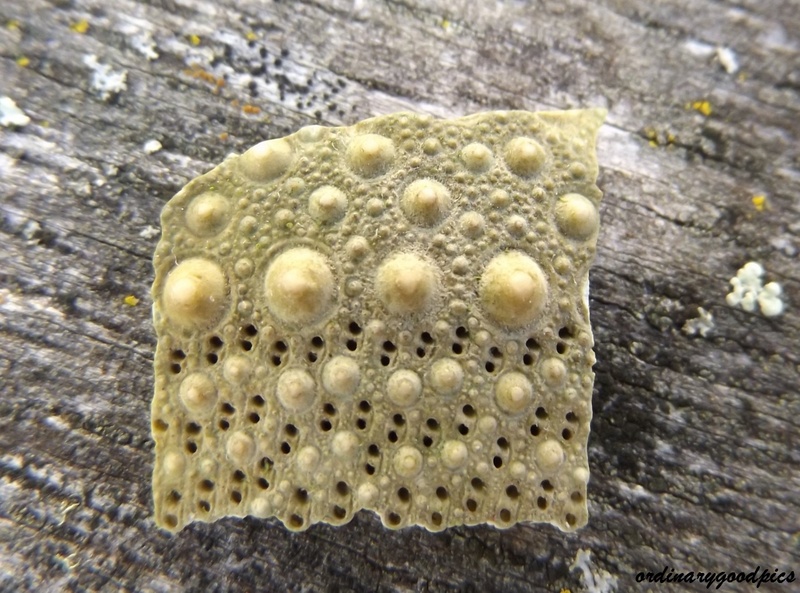 This entry was posted in Uncategorized and tagged "Native Animals of New Zealand", AWB Powell, beaches, Kina, nature, New Zealand Native Animals, patterns, photography, rockpools, sea creatures, Sea Egg, Sea Urchin, shell on May 3, 2015 by ordinarygood.